Each account is set up with one initial email address and account holder information (Administrator). This information is linked to the initial extension and User created, which can be modified but not deleted entirely. All billing information is sent to the Administrator each month via email. If you are an account holder, always be sure your email address is updated with Nextiva at all times. If you would like to change this email address, you are welcome to do so by following the instructions below. For Administrators, log in to NextOS by visiting www.nextiva.com and clicking on Login found at the top of the page. Alternatively, click here. 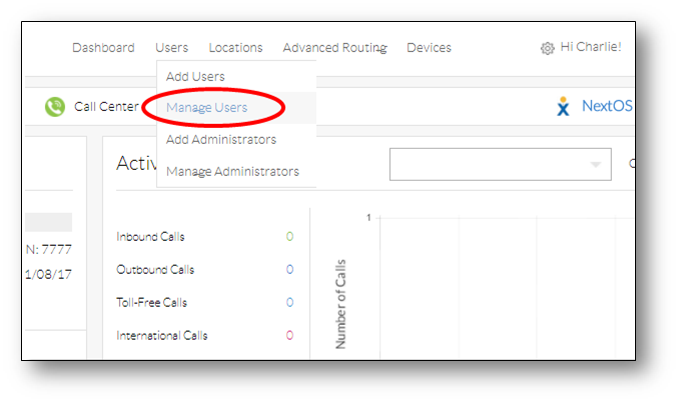 From the main dashboard, hover over Users at the top, then select Manage Users (Figure 1-1). Hover your cursor over the initial User created during the account creation process (this User is considered the Administrator), and select the pencil icon to the right of the User's name (Figure 1-2). 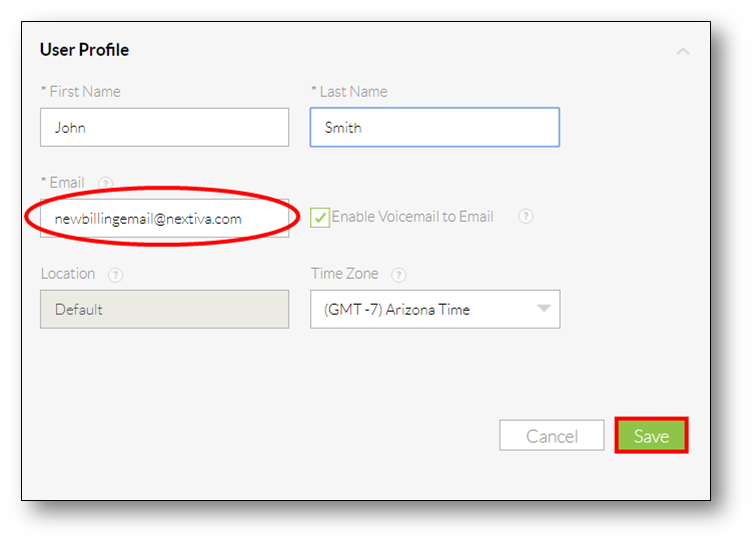 Under the User Profile section, update the Email field and select Save (Figure 1-3). Now that the billing email has been updated, all future invoices, password resets, and email contact with Nextiva will route to the new email address. If you have any questions, please feel free to contact Nextiva Support here or email us at support@nextiva.com. Why Has My Support Case Been Closed? How Does Nextiva’s Billing Cycle Work?